KALAMAZOO--Western Michigan University has smartphone apps for Android and for iPhone and other Apple mobile platforms thanks to a senior engineering project by six computer science students. 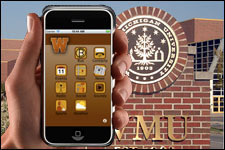 WMU Mobile is available free of charge through the Android Market at market.android.com for Android smartphones; and through the iTunes Store and App Store for iPhone, iPod Touch and other Apple mobile devices. 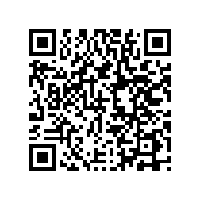 You can access the iTunes store and App Store through your mobile device or iTunes on your computer. 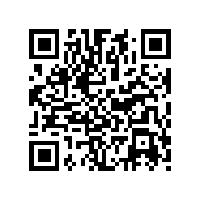 QR codes can be found at the bottom of this page. Sounds of Western, including Fight Song, Alma Mater and "key play"
Seniors Ryan Berry, Kyle Falkenstein and Matthew Rodgers developed the Android version of the app, while seniors Christopher Ashbay, Justus Reule and Timothy Wickey created the iPhone version. The University commissioned the project, and the two teams met weekly with the project sponsors led by Dr. Keith Hearit, WMU vice provost for strategic enrollment management. "WMU Mobile has a number of distinctive features," says Hearit, "but what's more impressive than the product, itself, is the way it was created. Typically, universities pay a vendor to create an app. We had six talented computer science majors design and create ours for their senior design project." 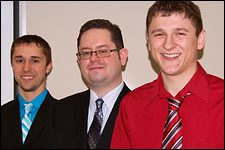 The students worked under the supervision of Dr. John Kapenga, associate professor of computer science, and received academic credit for their work. 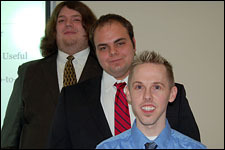 They collaborated with a variety of campus offices, including Facilities Management for the map feature, legal affairs for wording on product liability, and WMUK, among several others. Several WMU staff members assisted the students with suggestions and contacts, but the students did all the actual work, including all the coding and the graphic interface. The students also played a major role in defining the scope of the project, especially in terms of what features were both feasible and highly desirable to students. The University plans to continue the project, working with new teams of students each year to add new features and enhance existing ones. Ryan Berry of Muskegon, Mich., and alumnus of Mona Shores High School graduated from WMU in April with a major in computer science and minor in mathematics. Kyle Falkenstein of Plainwell, Mich., and alumnus of Plainwell High School expects to graduate from WMU in December with a major in computer science and minor in mathematics. Matthew Rodgers of St. Clair, Mich., and alumnus of St. Clair High School expects to graduate from WMU in June with a major in computer science and minor in mathematics. Christopher Ashbay of Battle Creek, Mich., and alumnus of Lakeview High School was a member of the Lee Honors College at WMU and graduated in April with a major in computer science and minor in mathematics. Justus Reule of Battle Creek, Mich., and alumnus of Battle Creek Central High School expects to graduate from WMU in June with a major in computer science and minor in mathematics. Timothy Wickey of Coldwater, Mich., and alumnus of Franklin High School expects to graduate from WMU in December with a major in computer science and minor in mathematics.